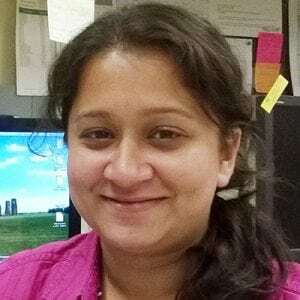 Vrushali Agashe is a graduate student in the Comparative Biomedical Sciences Program at the University of Wisconsin-Madison. She joined the Burlingham lab in Fall 2012, studying the role of autoimmunity to Collagen type V (Col V) in transplant patients. Her research focuses on the identification and characterization of these Col V reactive T cells, specifically with the use of MHCII-Col V peptide tetramers.